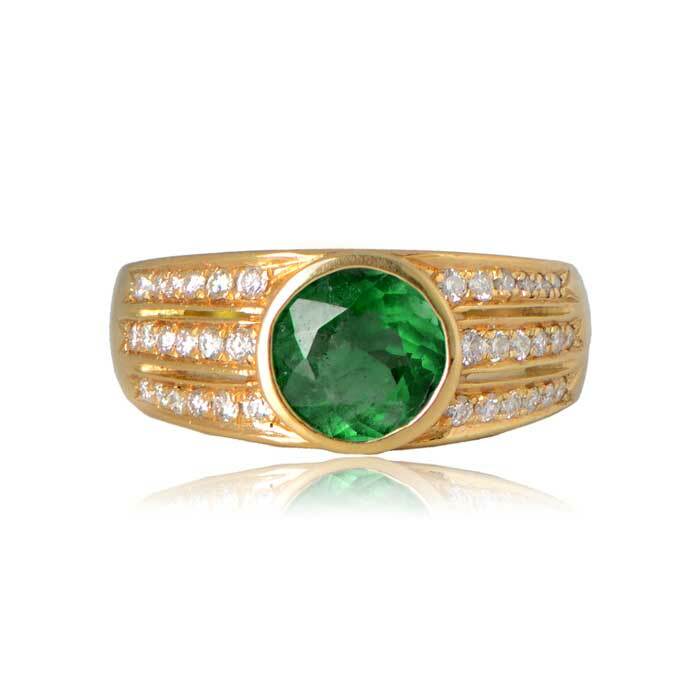 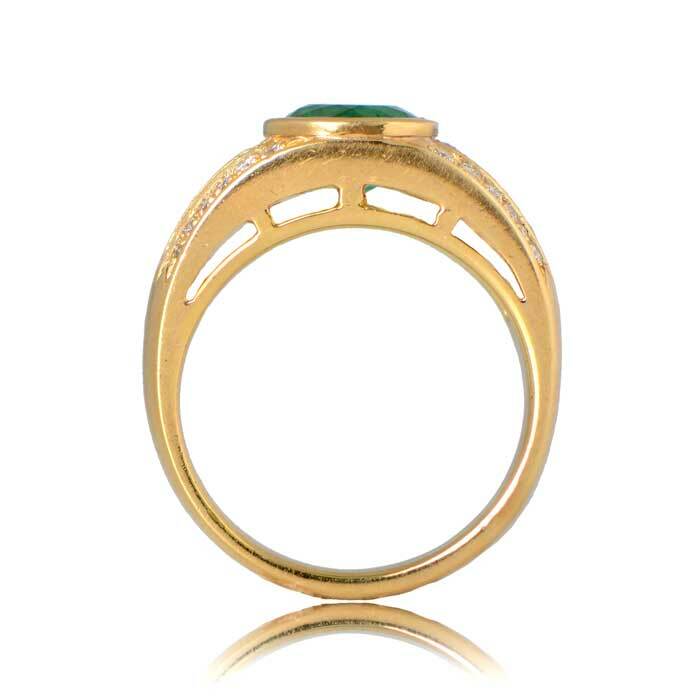 A Emerald and 18k yellow gold ring that centers an round natural Zambian emerald weighing 1.53 carats. 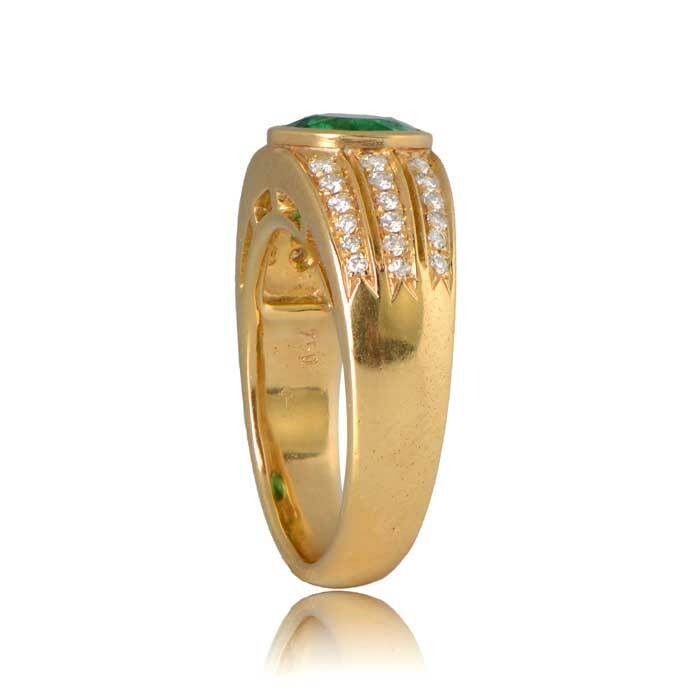 Along the shoulders of this ring is three rows of diamonds. 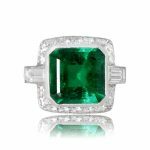 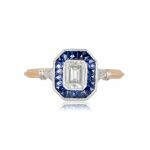 SKU: NYC106 Categories: Emerald Engagement Rings, Vintage Engagement Rings - Contact us and request additional pictures.